Updated! The Blackberry Salad Stitch Blanket CHART! 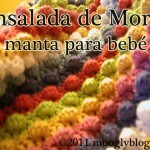 I’ve had a request for the charted version of the Blackberry Salad Striped Blankets. Now, I don’t have that fancy crochet software, but I DO have a sharpie and paper. It’s not the prettiest chart, but it should get the job done. Obviously, this isn’t a chart for a full sized blanket – more like a nice little scrubby washcloth. But it should give you the idea. The starting chain is a multiple of 4, plus 3 which count as the first dc. In the chart, it’s 16 stitches (4 x 4), plus 3, for a starting chain of 19. So, for the Blackberry Salad Striped Baby Blanket, it’s 112 stitches (4 x 28) , plus 3, for a total of 115 in the starting chain. For the Blackberry Salad Striped Afghan, it’s 164 stitches (4 x 41), plus 3, for a starting chain of 167. I hope this helps, and clears up any confusion! I know charts have helped me visualize a project more than once. Have a great weekend! I love your pattern for Blackberry Salad Striped Baby Blanket. When I try to print it will not let me print all of the pages. Any IDEA!!! I’m sorry about that Lila! Let me get my computer guy on that! In the meantime, if you are on a pc, you could try highlighting the parts you wish to print, and then clicking on “Selection” in the print popup window. Your afghan is gorgeous! Thanks for the chart – it really clarified the pattern & stitch placement for me. Thank you Lynn! :D I’m glad the chart helped! Hi Rita! Sorry for the confusion! The total # of sc in each row just depends on how many repeats of the pattern you are making, but there should be 3 sc between each bobble (plus two or four at each end). I’m sure I”m overlooking it, but I can’t find the colors you used. I love it and want it to look just like yours!! Robin, for the baby blanket? I didn’t keep a record, but the closest I can get is Terracotta, Maize, White, Berry, Lime, Violet, and Seaspray. At any rate, those are the closest ones now available from Cotton-Ease! I’m not sure what I’m doing wrong, but my blanket is turning out lopsided…i think I’m adding dc that shouldn’t be there. The pattern (for the baby blanket) says that there will be 113 dc(chain 3 counts as one of the 113). Should I have 113 dc at the end of row 3, 5, 7,…as well? Hi Lucia, sorry you’re having trouble! 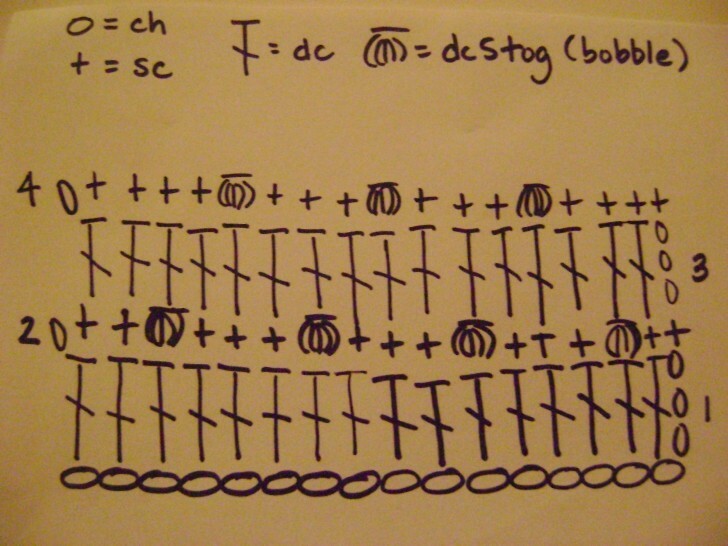 Yes, there should be 113 stitches on every row – 113 dc on the dc rows, and 113 sc and bobbles on the bobble rows. Beth, I always try to end on a dc row. If I don’t have enough yarn left, I’ll do a sc row, but I like to have a little something after that last row of bobbles. Love the blanket, it would be great for a lapagan, making it larger though. Many thanks for sharing your pattern and talent. I’ve shared it with other, with a link back here as well as pinned it to Pinterest. Hope that was ok. So glad you like it! There are some starting chain amounts listed on the main afghan page to help you get the custom size you’re looking for! Hi. Thanks for sharing the pattern. On the written instructions, R2 started with 4 sc but the chart showed only 2 sc before the dc5tog. Can you please clarify. Thanks so much. Sorry for the confusion – Rows 2 and 4 alternate throughout the pattern, and I accidentally switched them in the pattern. Either way works though, as long as you switch back and forth between them. I have never done crochet but have set it as my mission for 2013. This might be a tad too complicated to jump into with no experience but I tend to throw myself off the deep end. Can I ask, for the chain to start off with, should I be following your video for single or double crochet? Hope that’s not a dumb question! I would like to see the video. The instruction of the pattern is really confusing me. 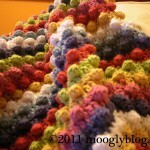 I really love this afghans with different colors.. i would like to do this pattern for my granddaughters. Many thanks..
I’m making a throw. I started with 148, I believe. I’m through seven colors so far. By my calculations, it should take me 86 hours to complete! Here’s hoping I pick up the pace. It is beautiful, which helps with my motivation. Thank you for sharing! You’re very welcome! Fingers crossed it gets faster for you! 😀 Thank you Marrie, same to you! Hi Shelly! I tried to duplicate your problem but didn’t have any luck. I’m wondering if you have the text size turned way up? The control for it as at the top of the print friendly version. Another option would be to click to turn it into a pdf, download the pdf, and then print that. I hope that works! I have just a few more rows to do on the blanket. Having chained initially 115 stitches with an H crochet hook, the blanket is 35 inches long, though I think I crochet loosely. 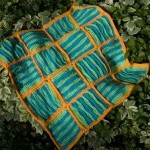 It should be 35 in x 30 in upon completion, and I am making it to be a stroller blanket for my upcoming granddaughter. I used a large variety of colors from Vanna’s yarn. Thanks so much for the lovely and fun pattern! 🙂 I’m so glad you enjoyed it, thank you Debbie! 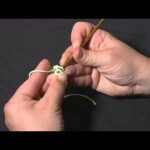 I’ve always wanted to learn how to do this stitch. Thanks to your instructions I’ve been able to not do the stitch but make a baby blanket. Thankyou so much for your help. Your work is amazing..
🙂 I’m so glad to hear it! Thank you Shilpl!